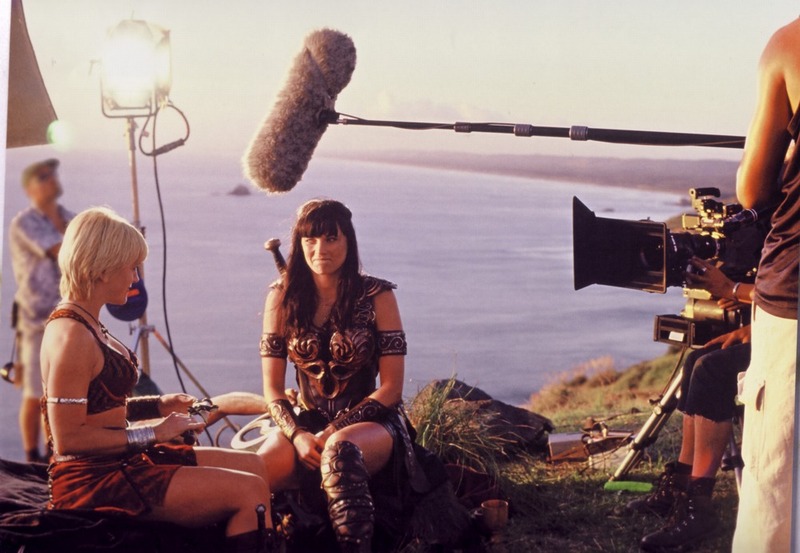 The Sixty Best Episodes of XENA: WARRIOR PRINCESS (19 & 20) | THAT'S ENTERTAINMENT! With all that said, let us resume with episodes 19 and 20 on the list. This was the last episode produced before the two-part series finale. It was also the only one written after “A Friend In Need,” filling in for a script that fell out at the last minute — a musical with Sappho called “Last Chance.” Not only one of Xena’s best comedies, “Many Happy Returns” is also perhaps the best episode of the entire last season. Season Six, a dark and epic final year for Xena and Gabrielle, has many beautiful dramatic moments, but no other episode (since the glory days of Season Three) has the right mix of humor, heart, and action. On the day before Gabrielle’s birthday, the Warrior Princess and Battling Bard are headed to Thebes to return the Helmet of Hermes — a golden hat which gives its wearer the ability to fly. Xena has also begun the annual birthday ritual of practical jokes (much to Gabrielle’s chagrin). Along the way, the duo rescues a virgin from being sacrificed at the hands of religious zealots. The virgin, Genia, is initially displeased at being rescued, but Xena and Gabrielle are determined to teach her the value of living. As the practical joking warfare escalates, Xena and Gabrielle introduce Genia to Aphrodite, hoping that the virgin will realize that deities aren’t always what they’re cracked up to be. But trouble begins when a warlord steals the helmet (thanks to Gabrielle’s practical joking) and Aphrodite unknowingly casts a love spell between Genia and the warlord’s son. Of course, what most fans remember about this episode is the final scene, in which Xena gives Gabrielle her birthday present: a poem written especially for her by Sappho (based on one of the poet’s actual pieces). It’s a beautiful moment, and Lawless saves it from being too schmultzy with a mock tear. But “Many Happy Return” still packs an emotional punch, especially when knowing this was the last “normal” episode produced before the violent finale. I’m sure many fans wished the series ended here — with Xena and Gabrielle literally flying off into the sunset. But Xena had come from much darker roots, and an ending like this would have also been a disservice. But this episode is classic — pulling all the right punches. I wholeheartedly recommend this episode to fans both old and new. It’s an entertaining episode and an excellent representation of the series. This was the second episode written by Steven L. Sears, one of the show’s best writers. “Hooves And Harlots” is undoubtedly the finest episode from the first half of Season One, introducing so many things that vitally changed the course of the series: Gabrielle’s first weapon, the Amazons, Ephiny, the Centaurs, etc. Furthermore, the episode established a standard for what stories the show could and should tell. New fans who have watched the show chronologically often cite this as the first of many “aha!” episodes. Everything clicks for perhaps the first time. For that reason, I recommend “Hooves And Harlots” as the ABSOLUTE BEST place to start for new fans. Xena and Gabrielle are being escorted through Amazon territory when they are ambushed by speeding arrows. Terreis, an Amazon Princess, is struck and Gabrielle rushes over to shield the woman from further injury. In her dying breath, Terreis gives Gabrielle her Rite of Caste. Back at the Amazon village, the hot-tempered Ephiny has captured Phantes, a centaur whose arrows matched those from the ambush. He is jailed and sentenced to death. 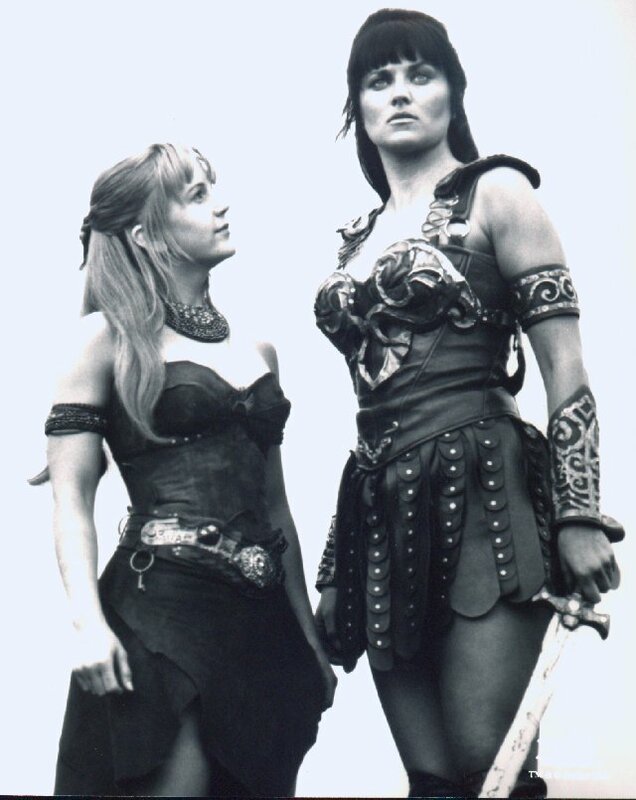 Xena learns from Queen Melosa that the Amazons have been feuding with the Centaurs, and that she intends to go to war. 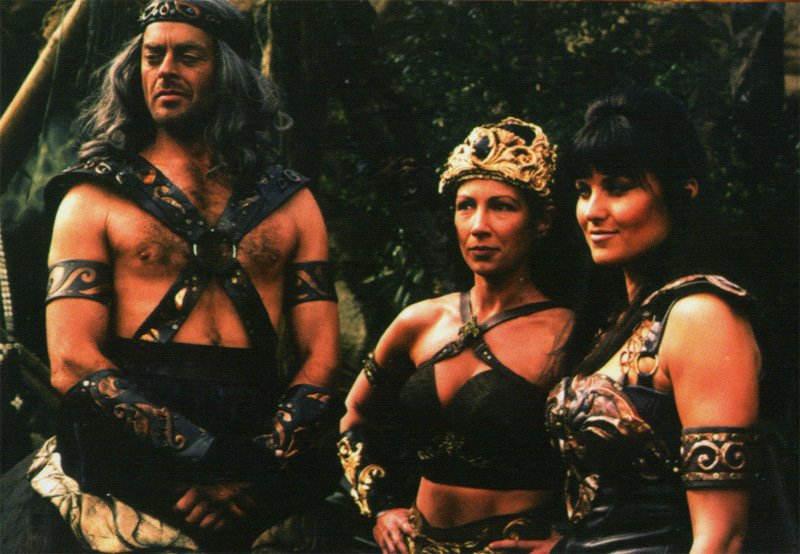 Xena urges Melosa to halt the execution while Xena visits the Centaur leader, Tyldus, whom she once fought in battle. He also refuses to back down, planning an attack for tomorrow. Meanwhile, Gabrielle learns that she is now an Amazon Princess, and she begins preparing for the ceremony and training for battle. But Xena soon learns that the real murderer is Krykus, a warlord who hopes to engineer a battle between the Amazons and the Centaurs for power and profit. But will either side listen to Xena? Again, there is so much to love in this episode. It’s easy to take for granted all the brilliant things “Hooves And Harlots” introduces. The Amazons are excellent allies to Xena and Gabrielle, opening up so many new stories. Queen Melosa, in her only appearance, is a strong and complex character. 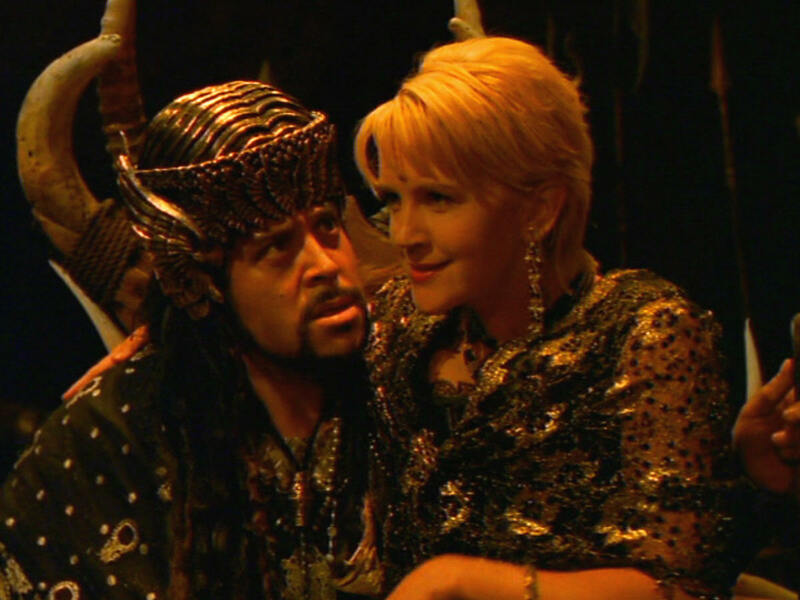 Her fight with Xena for control of the Amazons is the episode’s highlight. 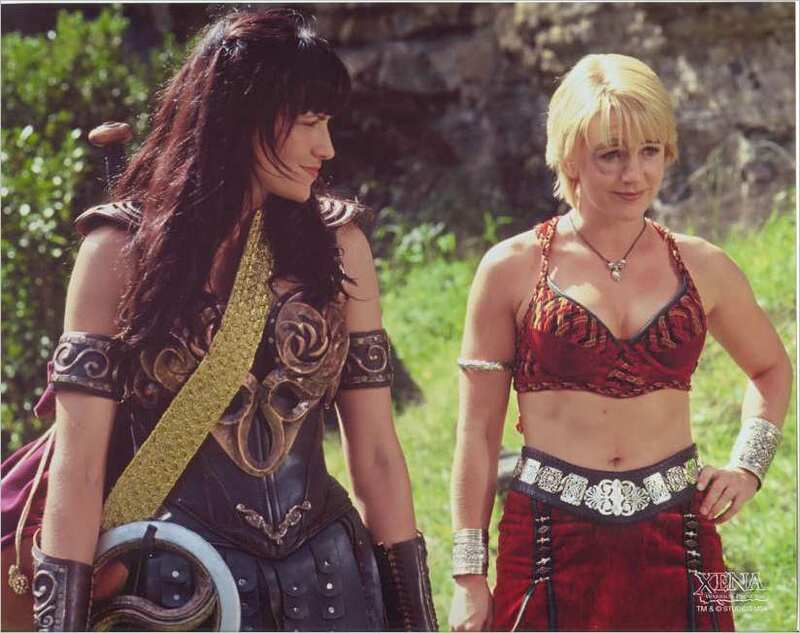 And Ephiny, first seen here, later proves to be a vital friend to both Xena and Gabrielle. In fact, she was initially set up to be a third lead, before the producers fully committed to having Gabrielle involved in the action. Of course, that’s probably the most ambitious thing this episode accomplishes. After nine episodes of watching Xena fight, Gabrielle learns for the first time how to use a weapon: the staff. It changed her and the series. As I said, this is the ABSOLUTE BEST episode for new fans to watch. Why? It has everything. 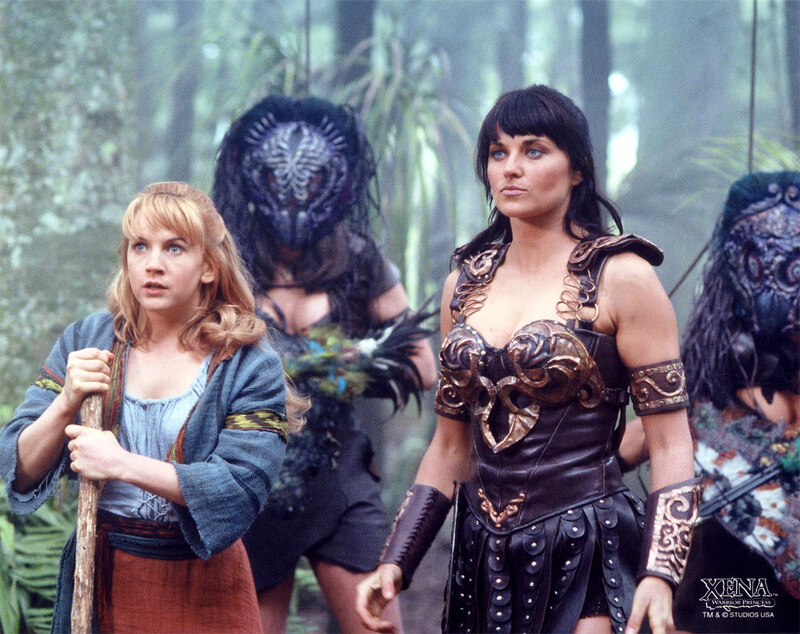 Not only do we get Xena confronting something from her past (albeit, in a comparatively sterile way), we have an array of strong characters with a plot that remains engaging. Plus there’s growth in the Gabrielle character as well, as she fights for the first time. Fortunately, because this is an early episode, none of the material should rise above first timers’ heads. An important and captivatingly written episode, “Hooves And Harlots” is wholeheartedly recommended. Come back next Thursday for numbers 17-18! And don’t forget to check back tomorrow for another Film Friday post! Pingback: THE XENA SCROLLS: An Opinionated Episode Guide (109 & 110) | THAT'S ENTERTAINMENT!